We are lucky that, each year, we have one of Switzerland's major sporting events taking place right here in Luzern. 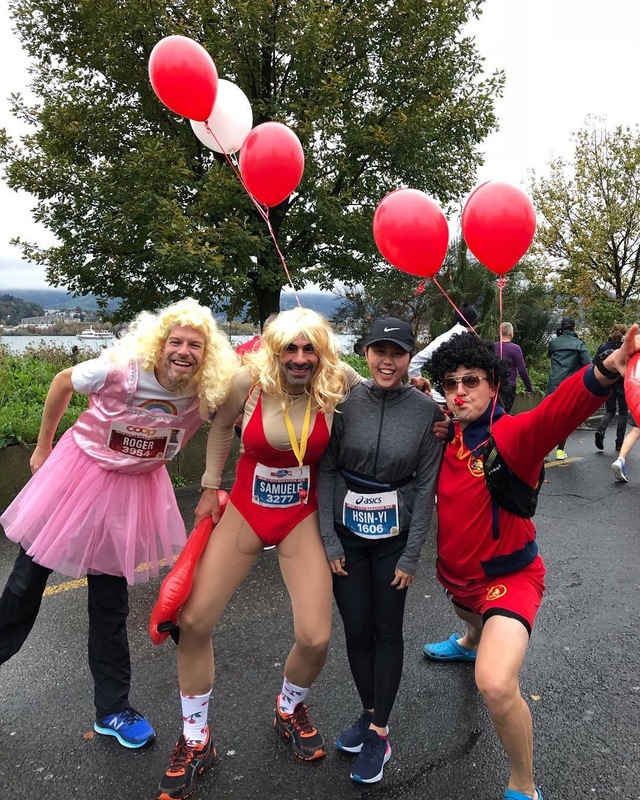 The Swiss City Marathon welcomes runners from all over Switzerland and further afield to participate in one of the three events on offer: 10km run, half or full marathon. 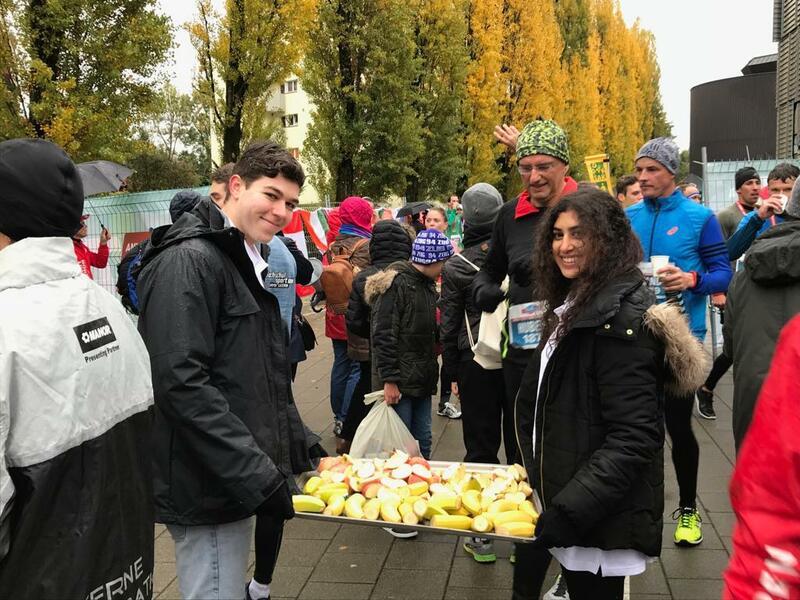 As one of the official partners of the event, IMI provides student volunteers to man the fruit stall and offer refreshments to the runners as they finish their races. 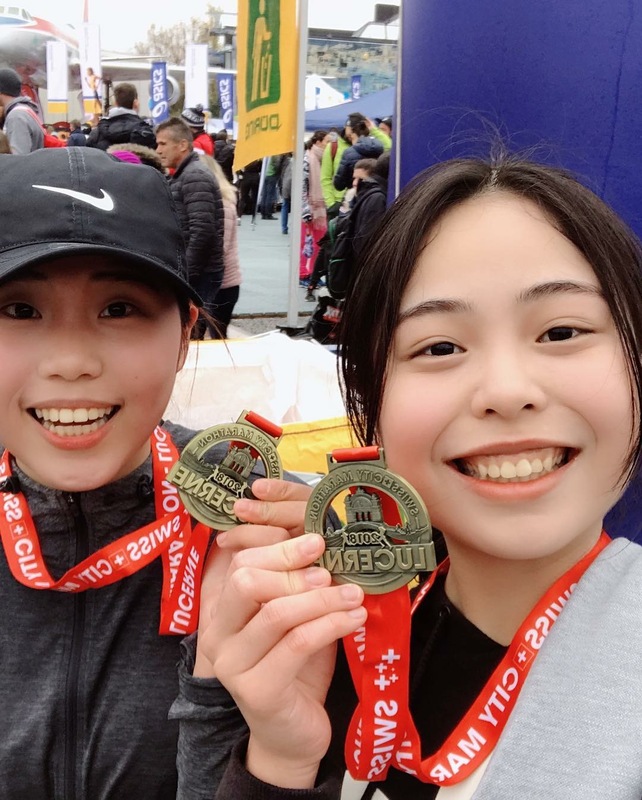 We also encourage students to participate in one of the three running events as a great way of staying healthy and adding an additional personal achievement to their time spent in Switzerland. This year the weather was not so encouraging, with constant rain and sleet and a steep drop in temperature. However, the miserable conditions did not dampen spirits with over 10,000 runners still making it to the start line. 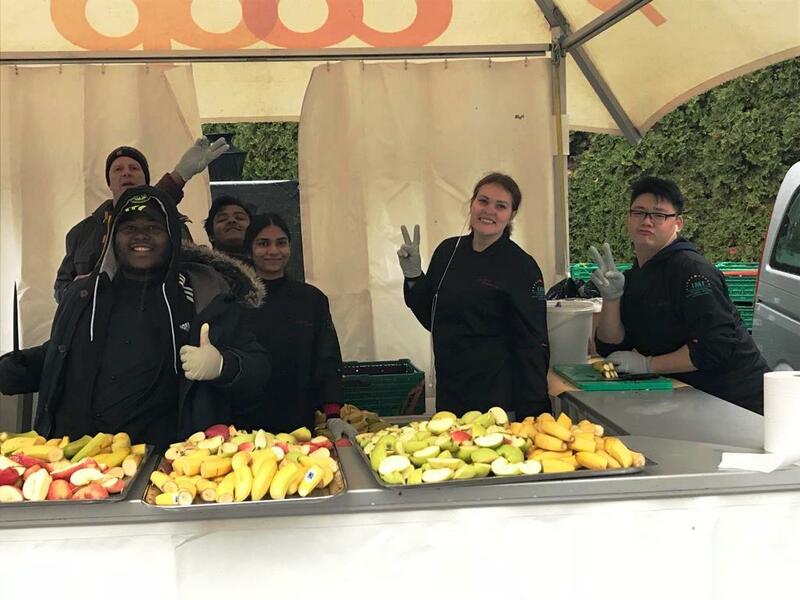 Our volunteers also managed to keep their best hospitality smiles on their faces as they wrapped up warm and shared in the moments of elation as the runners made it back to the finish. We are particularly proud of our three students who ran at the event. 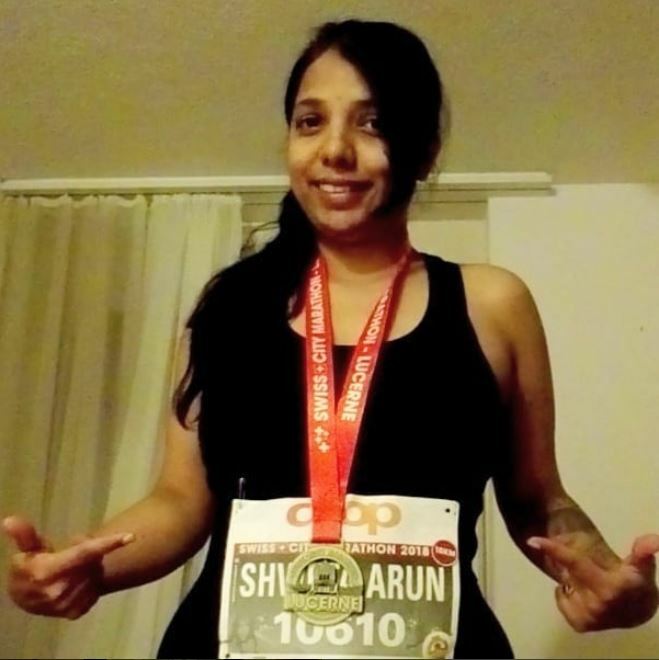 Cindy and Lau took part in the half-marathon while Shweta took on the 10km. All three did really well and reached the finish line tired and cold but still with a happy smile of satisfaction on their faces. Thanks to all staff and students who were involved in the organisation and running of the day itself – we look forward to another successful event in 2019!